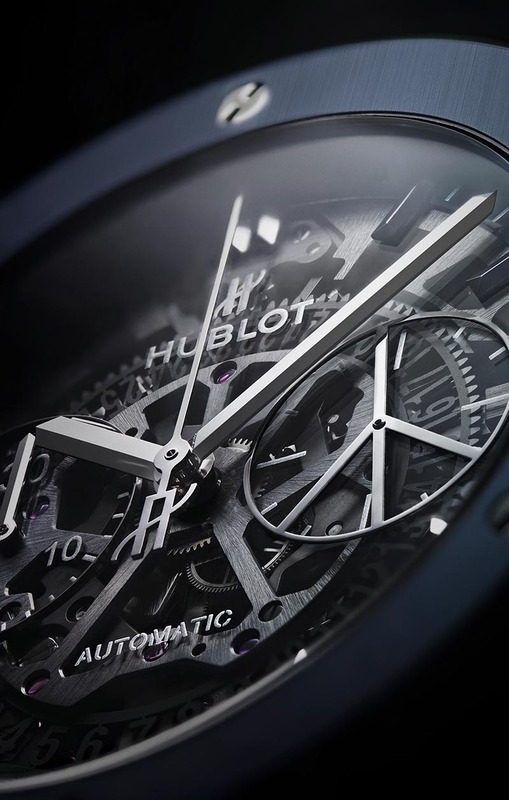 Hublot, who has never left the lead in designing special and limited edition models, showed up with the new collections inspired by Mykonos and Ibiza, popular holiday destinations for summer. 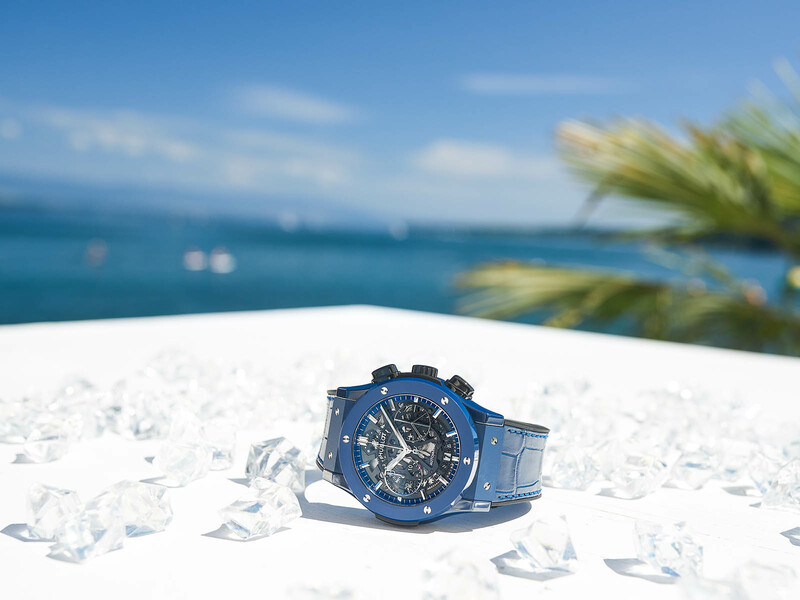 Having referred to Bodrum -our great holiday town that is famous with its blue sea- with the Bodrum Blue model, Hublot added a pair of new collections that are inspired by popular summer holiday locations; Mykonos and Ibiza. Aero Fusion Mykonos Edition, which comes as a part of the Classic Fusion product line, combines the charm of the famous Greek island with Hublot’s “Art of Fusion” motto in every detail. The model comes in a 45mm diameter case with two material options as Titanium (limited to 50 units) and 18K King Gold (limited to 20 units). The bezel is made of carbon fiber finished in a matching blue tone. The case sports AR coated sapphire crystals on both side and it is water resistant to 50 meters. The dial is designed in skeleton form. Prepared in Bi-Compax chronograph lay out, the dial features a “wind mill” inspired small seconds sub-counter at 3 o’clock that evokes the island. 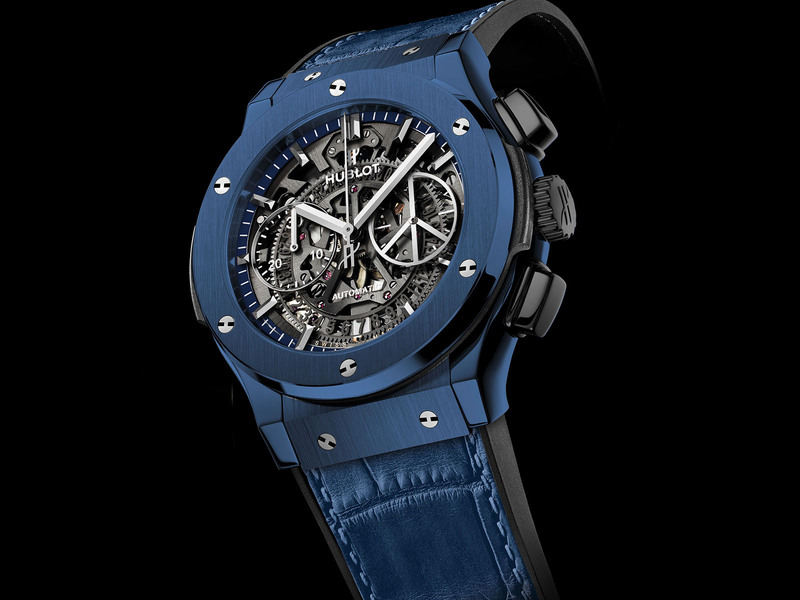 Aero Fusion Mykonos Edition is powered by the brand’s manufacture movement Hublot Caliber Ref. HUB1155. Self-winding movement features a Bi-Compax chronograph and a date display feature besides the time keeping function. Beating at 4Hz, the movement is capable of providing 42 hours of power reserve when fully wound and it is visible through the sapphire crystal display caseback. For both versions, contrast white stitching, blue alligator strap is preferred. The strap is supported by a vulcanized rubber lining for comfortable wear in hot summer days and it is secured by a Hublot signed folding clasp made of titanium or 18K King Cold depending on the case material. Inspired by famous holiday towns, the other collection is designed for Ibiza, which is considered one of the most popular vacation spots of all times with its parties and nightlife. 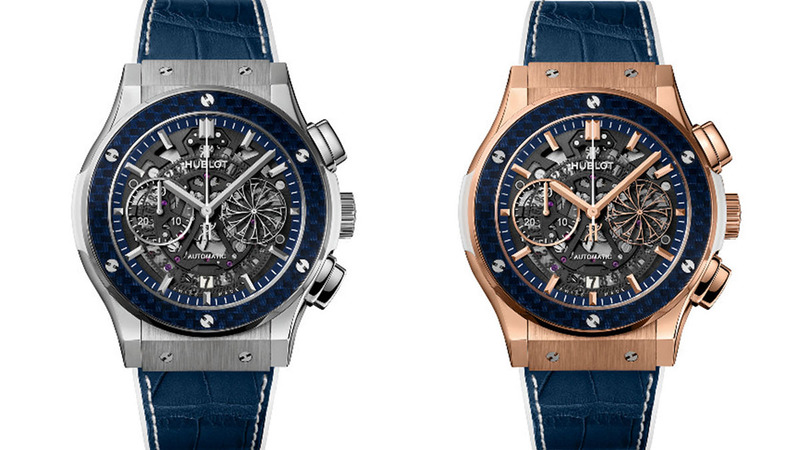 The model comes in a 45mm Classic Fusion style case like the Mykonos version. However, this time the case (and the bezel) is made of blue ceramic. 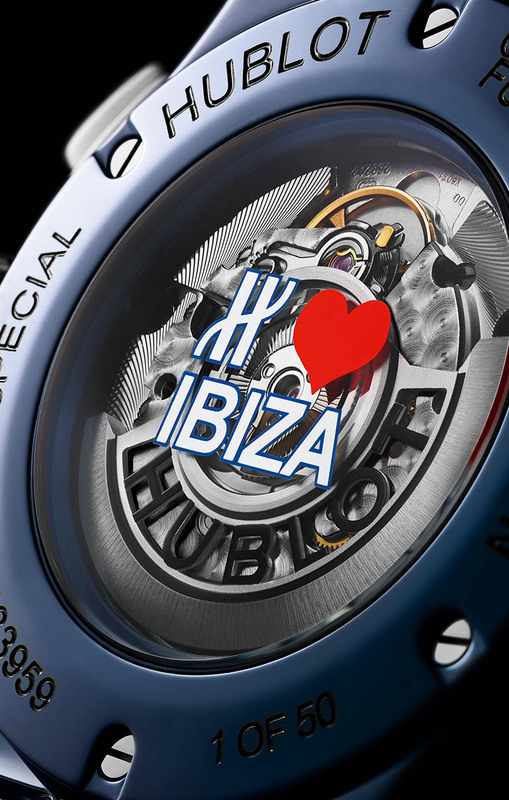 There are AR coated sapphire crystals on each side of the case where the one at the back is adorned with a Hublot Loves Ibiza motif. The case is water resistant to 50M. 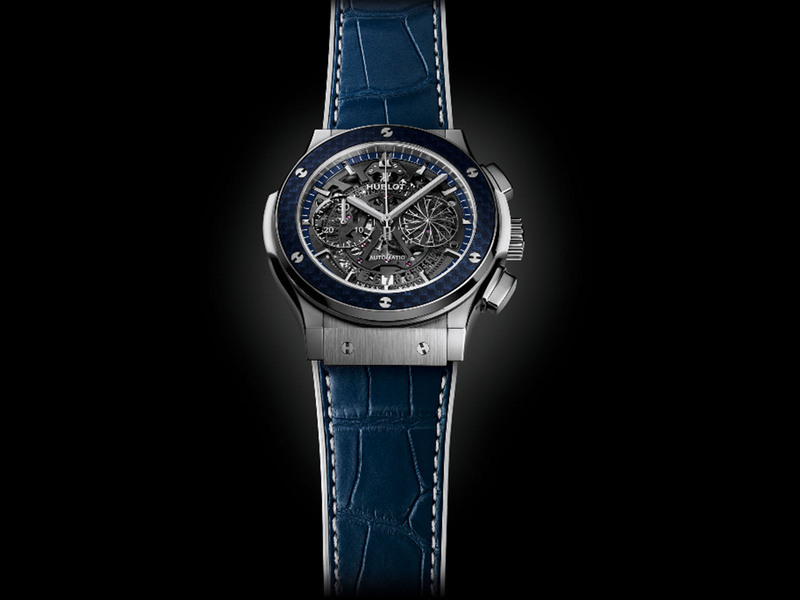 Skeleton style is preferred for the dial prepared using blue tones in accordance with the design. The "piece sign" is added to the small seconds sub-counter on the 3 o'clock position of the Bi-Compax chronograph laid out dial, a reference to the hippie groups of the 1960's, which made the island popular with their presence. 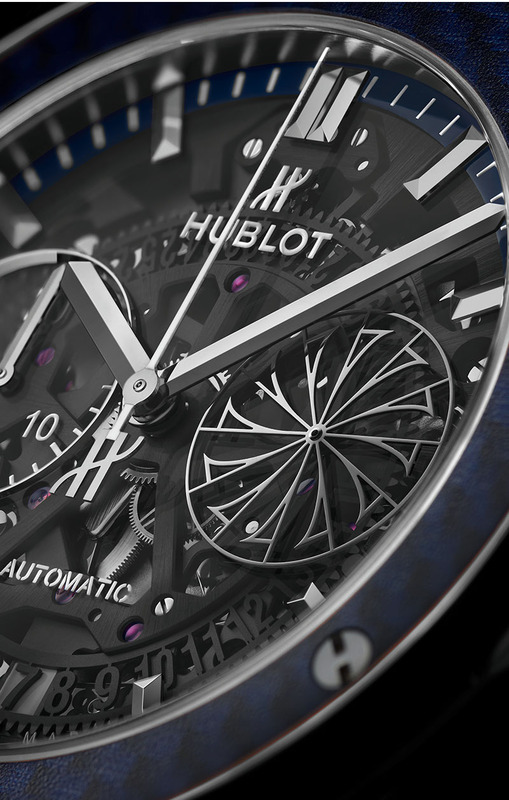 Aero Fusion Ibiza Edition is powered by the brand’s manufacture movement Hublot Caliber Ref. HUB1155. Self-winding movement features a Bi-Compax chronograph and a date display feature besides the time keeping function. Beating at 4Hz, the movement is capable of providing 42 hours of power reserve when fully wound and it is visible through the sapphire crystal display caseback. 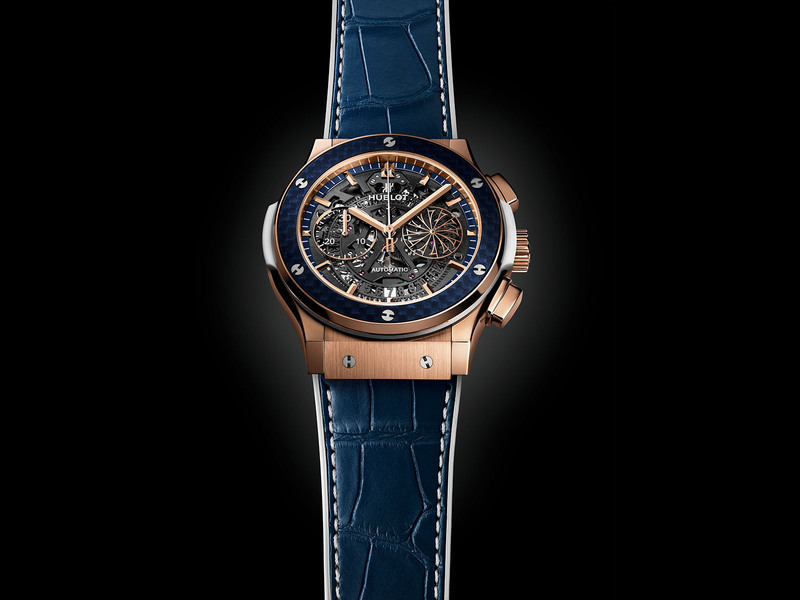 Limited to 50 units only, the model comes on a blue alligator strap with matching blue stitching. The strap is supported by a vulcanized rubber lining for comfortable wear in hot summer days and it is secured by a Hublot signed folding clasp.